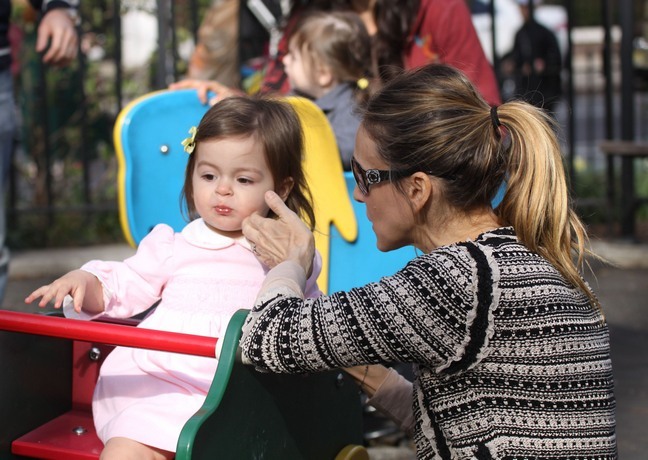 Sarah Jessica Parker and her twin daughters enjoyed the gorgeous NYC weather this weekend. Sarah Jessica was photographed at a neighborhood park in NYC with her girls Marion and Tabitha. Both girls were sporting all-pink outfits with flowers in their hair. 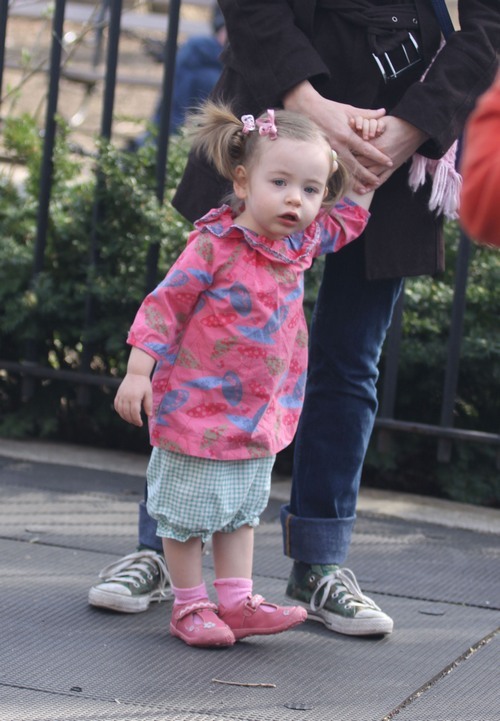 Marion is the spitting image of her dad, Matthew Broderick, isn't she? Tabitha looks like she'll take after mom. The busy celebrity mom is just about finished filming her two new movies "New Year's Eve" and "I Don't Know How She Does It". She has two more potential projects lined up: "The Ivy Chronicles" and "A Family Affair".